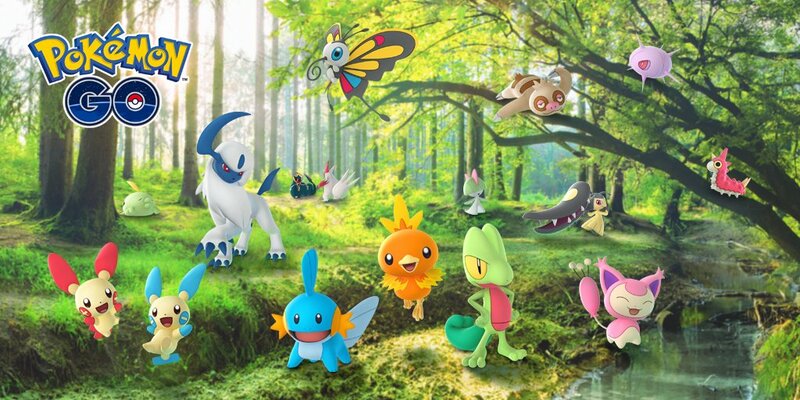 The Pokémon Company and Niantic have announced that Pokémon GO will add several Gen 3 Pokémon and a new dynamic weather system this week. Treecko, Torchic, Mudkip, and several more Pokémon that were first discovered in the Hoenn region in Pokémon Ruby and Pokémon Sapphire will start appearing in the location-based game for the first time, with more to be added for players to discover in the coming weeks. Whereas the new dynamic weather system promises to change the way that you play, as, alongside the in-game map being updated with new weather visuals, the real-world weather will be reflected in the game and will impact Pokémon in different ways. When it is raining, for example, the odds will increase that you will find Mudkip splashing around, or perhaps you could find Cacnea basking in the sun, and Snorunt huddling together in the snow. Also, attacks of certain types will be more effective during some weather conditions, with Niantic explaining that Charizard’s Fire Spin will perform better on sunny days, as an example. Their Combat Power may also be temporarily increased, and it presents a chance to earn more Stardust after catching a Pokémon.